A companion to the NCFP guide on hiring a CEO, this is the first how-to guide for new family foundation chief executives and the board members who hire them. Hiring a CEO is only the first step. A solid transition plan will maximize the CEO’s prospects for success. This guide covers the board and board chair’s role in orienting the new CEO; tips for CEOs to develop strong board/staff relations; setting boundaries and coping with family dynamics; and much more! 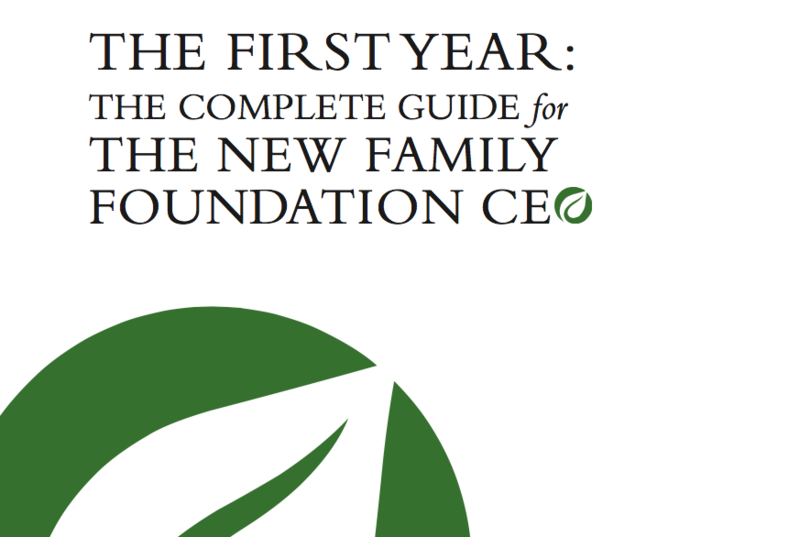 COPYRIGHT NOTICE: Your payment entitles you to a single-use license for the PDF of this guide from the National Center for Family Philanthropy. This means that you may save or print one copy of this guide, but may not distribute copies of this guide in whole or part in any form (printed, PDF, etc.) to others. If you wish to provide multiple copies of this resource with other members of your board or staff, please purchase the multi-use license of this PDF.